(Beyond Pesticides, April 12, 2019) The Center for Biological Diversity (CBD) announced on April 3 that it is suing the U.S. 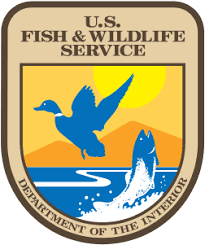 Fish and Wildlife Service (FWS) for its failure to release public records, despite multiple FOIA (Freedom of Information Act) requests, that would reveal on-the-ground impacts of FWS allowing use of neonicotinoids and genetically engineered (GE) crops in wildlife refuges. Last August, in yet another rollback of protections for wildlife, the environment, and public health, the Trump administration reversed a 2014 FWS decision to ban the use of neonicotinoids and GE crops in National Wildlife Refuges. If successful, the CBE lawsuit, filed in U.S. District Court for the District of Columbia, would compel the agency to provide the requested documents. This would allow the public, largely through the work of NGO (non-governmental organization) watchdogs, such as CBD and Beyond Pesticides, to understand what harms are being caused on the nation’s protected public lands by the administration’s reversal of the 2014 ban. Ms. Connor also noted, in The New Food Economy’s coverage of the matter, that CBD has encountered delays in getting documents via FOIA requests with past administrations, but has never faced a delay as protracted as this one with FWS. It is noteworthy and likely relevant that in December 2018, the Department of the Interior, under whose auspices FWS operates, submitted to the Federal Register proposed rule changes that could limit the number of FOIA requests an individual could submit, lengthen the turnaround for FOIA requests, and establish a level of “burden” that requesters should not exceed. This was done during a government shutdown without any public announcement or press release by the agency. Then came the 2018 FWS announcement of the reversal, in which FWS said that genetically modified seeds, used together with neonicotinoids, “[maximize] crop production” — pointing to the friendliness the Trump administration exhibits toward industry, in this case, the agrochemical sector, and to its relative indifference to environmental, public, and wildlife health. Very soon after that announcement, CBD and the Center for Food Safety (CFS) sued the administration over the reversal, citing the FWS’s failure to consider the risks of increased pesticide use for threatened species that rely, for food, habitat, and protection, on national wildlife refuges. Earlier in 2018, CBD released a report, No Refuge, that documented the intensive use of pesticides on lands designated as refuges for wildlife and protected under U.S. law. That use amounted, in 2016 alone, to 490,000 pounds of pesticides sprayed on crops grown in national wildlife refuges. As of that year, the refuge systems that endured the heaviest use of pesticides were the Klamath Basin National Wildlife Refuge Complex, the Central Arkansas Refuge Complex, the West Tennessee Refuge Complex, the Tennessee National Wildlife Refuge Complex, and the Chesapeake Marshlands National Wildlife Refuge Complex. Intensive commercial farming — and use of pesticides — have spiked with the advent of GE crops, such as corn and soybeans. Increased pesticide use threatens the long-term health of these sensitive habitats and the wildlife that depend on them. The Beyond Pesticides Daily News Blog is a great source for timely news on pesticide issues, including emerging research, developments in legal and governmental rulings, and efforts by localities and grassroots organizations to protect human and environmental health and integrity. Look for opportunities to advocate for less-toxic approaches to pest management in agriculture, homes and buildings, gardens, public and private lands, and more, through Beyond Pesticides’ Action of the Week. This entry was posted on Friday, April 12th, 2019 at 12:00 am	and is filed under Fish and Wildlife Service (FWS), Genetic Engineering, neonicotinoids, Pollinators, Uncategorized. You can follow any responses to this entry through the RSS 2.0 feed. You can skip to the end and leave a response. Pinging is currently not allowed.